In honor of its 40th anniversary in 2012, iconic California vintner Jordan Vineyard & Winery has created the 4 on 4 Art Competition, a four-city initiative that challenges local artists to create a commemorative work of art that blends the elegance of Jordan wines with the flavor of each city. 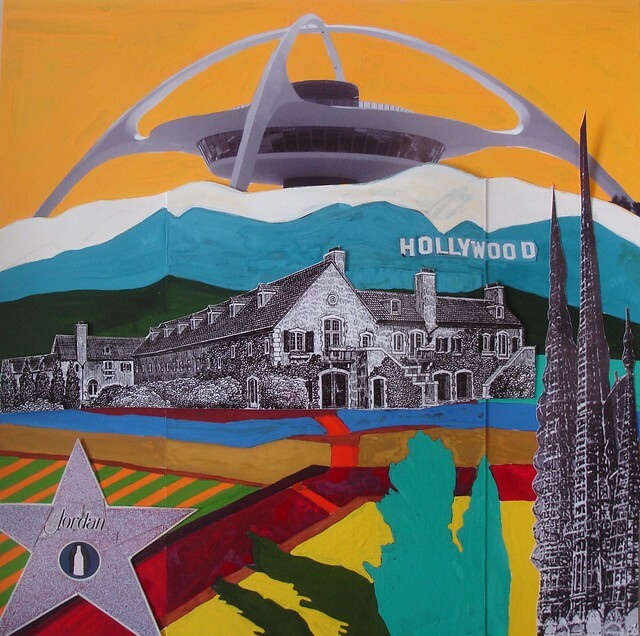 The 4 on 4 Los Angeles competition begins today with its call for entries, organized by LACE (Los Angeles Contemporary Exhibitions).In the past three decades, the Jordans have commissioned artists to capture the beauty of the winery chateau through the seasons—its ivy-draped façade, window boxes sprouting spring flowers, the antique clock above a sweeping balcony. To celebrate a special dual anniversary this spring—both the founding of the winery and second-generation vintner John Jordan’s 40th birthday—Jordan Vineyard & Winery is bringing wine country to Southern California artists in their own backyard, challenging talented professionals to create a special work of art that combines the essence of Jordan with Los Angeles’s distinct flavors of culture, food and design. A panel of expert judges—including Carol Stakenas, director of LACE; noted critic and LA Canvas art editor Shana Nys Dambrot; Kat Odell, editor of LA Eater; David Gadd, managing editor of The Tasting Panel; renowned restaurateur Piero Selvaggio of Valentino Restaurant Group; Chef Joseph Miller of Joe’s Restaurant; and Timothy Williams, artist and gallerist at Black Cat Gallery—will select the top three works of art that meet the competition criteria. Top three winners receive cash prize awards: a grand award ($5,000), first runner-up ($2,000) and second runner-up ($1,000). In addition to cash prizes, winning artists will be featured in an art exhibition, publicity campaigns and Jordan 40th anniversary commemorative gifts. The winning work of art will be transformed into a limited-edition piece for Jordan’s Southern California customers. 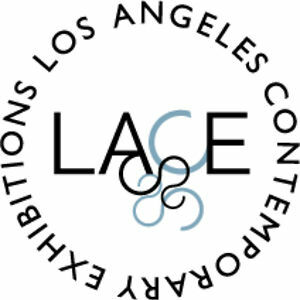 The deadline for submissions for the Los Angeles competition is April 1, 2012, at 5 p.m. EST. Artists must live and work in Los Angeles, Ventura, Orange, San Bernardino or Riverside counties to be eligible. A complete list of competition guidelines can be found on the 4 on 4 Los Angeles webpage. A collection of the top competition entries will be unveiled at 4 on 4 Top 40, a public exhibition and Jordan wine tasting event, which will be hosted on April 11, from 6 to 9 p.m., at Hadid Gallery, an up-and-coming gallery in the trendy West Hollywood Design District. A people’s choice award will also be given for the top artwork selected by event guests. The 4 on 4 Top 40 event is complimentary and open to the public. RSVP is required on eventbrite. For more information about 4 on 4 Los Angeles, click here. LACE both champions and challenges the art of our time by fostering artists who innovate, explore, and risk. We move within and beyond our four walls to provide opportunities for diverse publics to engage deeply with contemporary art. In doing so, we further dialogue and participation between and among artists and those audiences. For more information, please visit http://welcometolace.org.